Twitter users pull up Republic TV for using an image from North Korea on an opinion piece on the Indian national anthem debate. 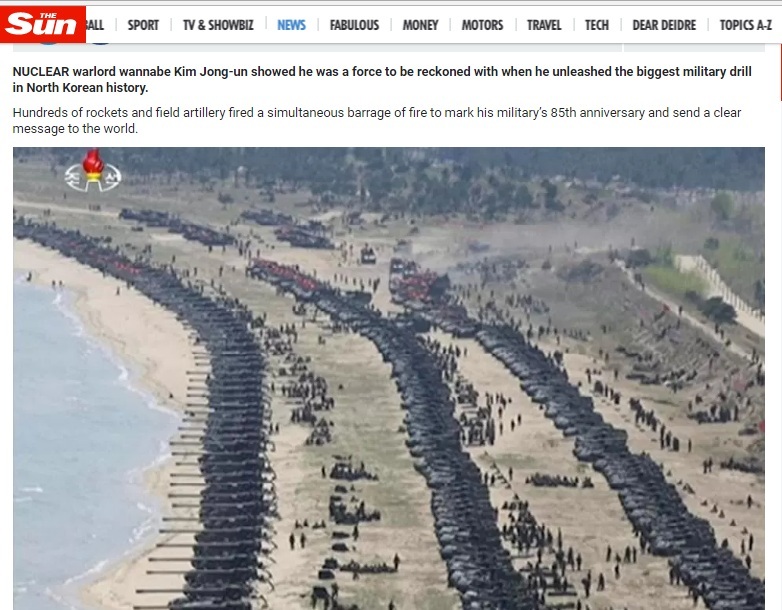 Arnab Goswami led Republic TV used a photo of a large scale live fire artillery drill conducted by the North Korean military for an opinion piece on Wednesday about the Indian national anthem drawing comparisons to Kim Jong Un’s propaganda state media. 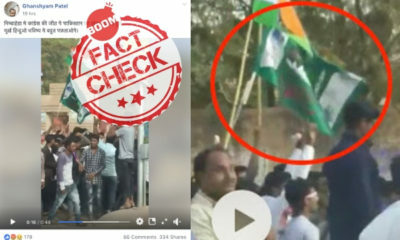 The picture was used as the background along with a cut-out of Republic TV’s defence analyst Major Gaurav Arya who wrote an opinion-based article defending his January 9th tweet opining on the national anthem row in India. Republic did not provide a disclaimer stating that the image was for ‘representational purpose’ only. 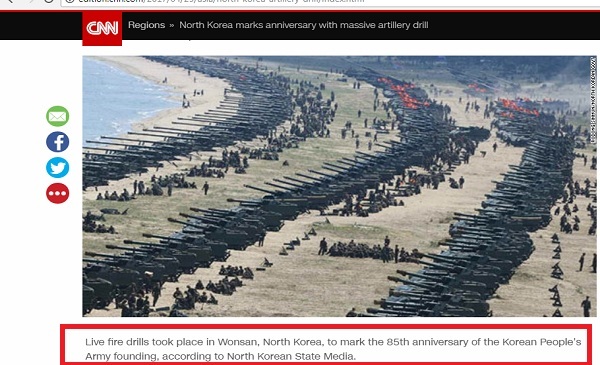 The exact same photograph was used by international media in April 2017 to report about the hermit nation conducting a massive live fire drill to mark the anniversary of the foundation of its military on April 25, 1932. On January 9th, the Supreme Court of India modified its November 2016 interim order that made it mandatory for the national anthem to be played in cinemas before movie screenings. The decision was hotly discussed on most news channels during which the former major tweeted that as a soldier, one could not expect him to stand for those who couldn’t stand for the national anthem. If you can’t stand for the national anthem, don’t expect me to stand for you. His tweet drew mixed reactions on Twitter including a few responses from some veterans who berated his stance. At the time of writing this story, the tweet had attracted over 1200 comments, nearly 5,900 retweets and over 12,000 Likes. 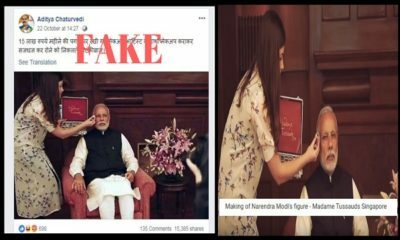 Twitter handle ‘Chef Ali Vaidya’ a satirical account on Shefali Vaidya, a columnist with right-wing website Swarajya, was one of the first to point out the anomaly which was enough ammo for Twitter users to troll the channel. Why North Korean army image in the background? Republic could not find any Indian army image? 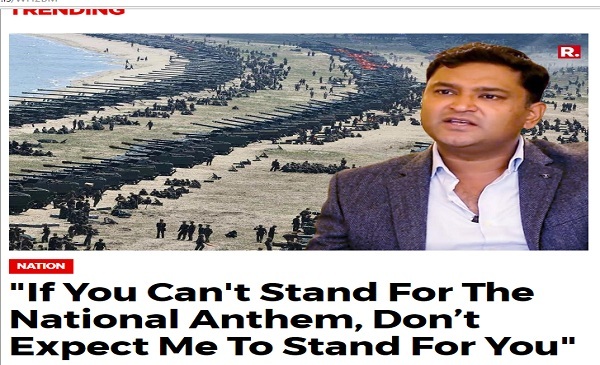 North Korean Channel Finally uses its countries Pic superimposed with @majorgauravarya to defend his controversial ‘From an Indian Soljer’ tweet on National Anthem. 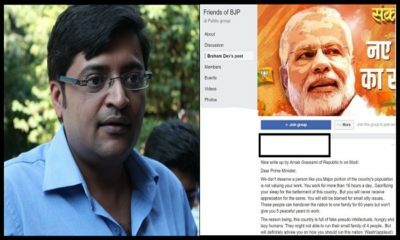 Launched in May 2017, Republic TV, known for its Editor-in-Chief Arnab Goswami’s high-decibel ambush style of questioning, has earned its fair share of supporters and detractors. 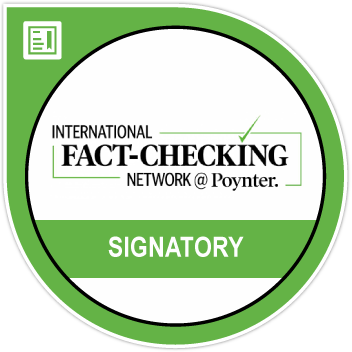 Funded by Rajeev Chandrasekhar, an independent Member of Parliament from Karnataka and vice chairman of the BJP-led National Democratic Alliance wing in Kerala, the channel has been accused of being jingoistic and biased in its coverage. The dubious comparison with North Korean state TV, a mouthpiece for the country’s supreme leader Kim Jong Un, caught on after former BJP union minister Arun Shourie in an interview in 2017 drew parallels with Indian TV channels. Republic ultimately relented and changed the image on the story but an archived version of the page can be viewed here.